It’s not everyday you combine the words sub penthouse and bachelor suite in the same sentence but here we are. I am by no means wanting that to sound negative and it’s the reason we’re covering this property today. Everyone knows that the Vancouver market is one of the hottest so let’s take a peek inside a sub penthouse bachelor suite before it’s sold. 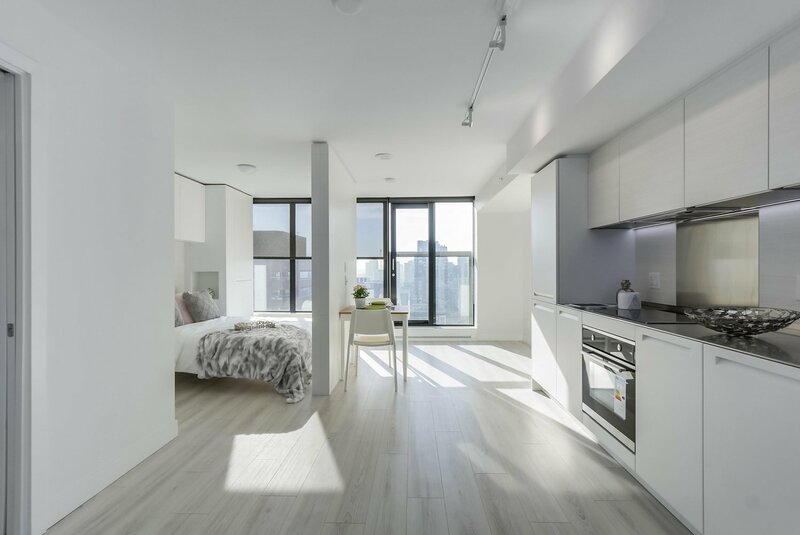 This unit is located in The Addition Tower which comes with a plethora of onsite features such as incredible outdoor spaces, fitness centre, child’s area and garden plots for green thumbs. This brand new, built in 2018, unit is 487 square feet and comes with many high end appliances and finishes. This sub penthouse is on the market for $679,995 CAD and it’s listed with Paris Mina-Pour of Sotheby’s. If you would like to know more or schedule a viewing you can give her a call at 604-722-0752 directly.